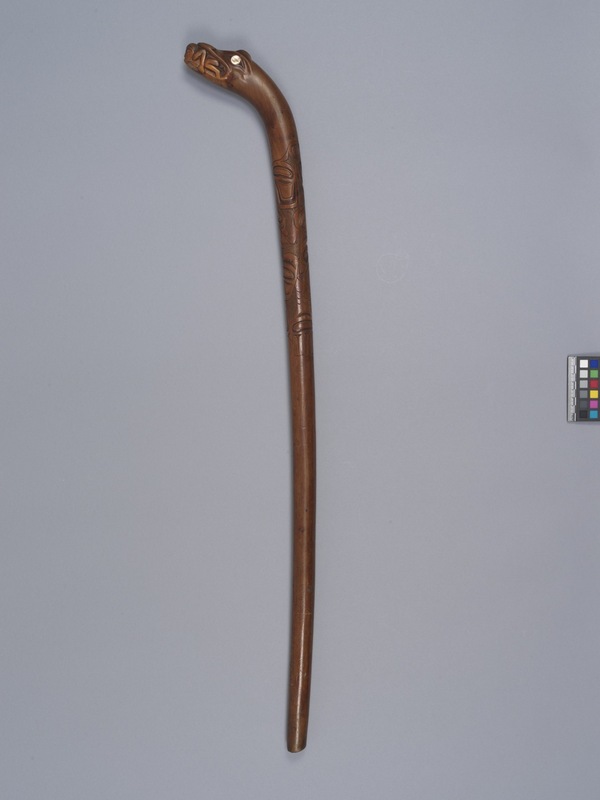 Item number 3260/107 from the MOA: University of British Columbia. 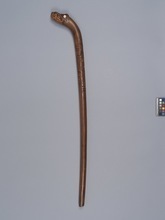 Walking stick (or cane) carved, with abalone inlay. The handle has been shaped into an animal head with open mouth, eating a human. Inset abalone eyes. There are also carved designs on the upper section; the lower section is plain.